In 1848, William Esperanza Boucher Jr. began manufacturing banjos in his Baltimore factory. They were popular with the minstrel era musicians, and later, many soldiers in the Civil War carried a Boucher banjo. 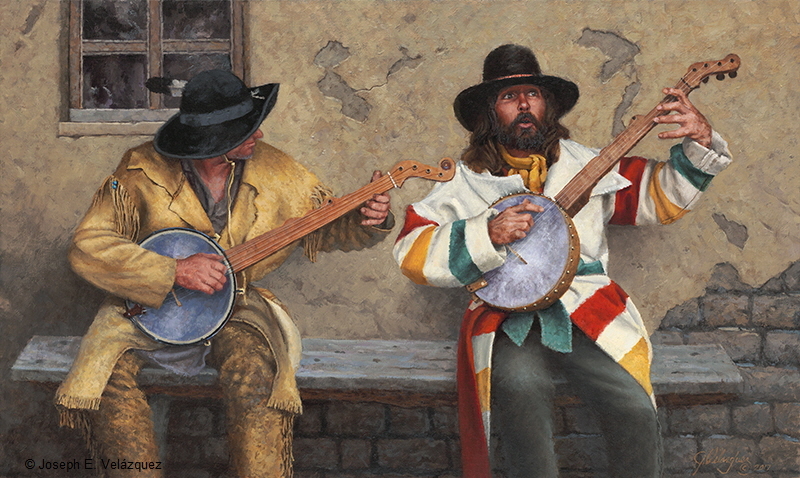 In this scene, two frontiersmen playing Boucher banjos, offer a ballad bringing the warmth of music and a small respite from the rigors of life in the early years of plains settlement.